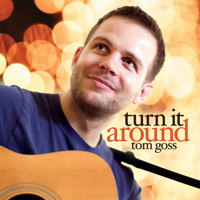 Tom Goss‘s newest album “Turn It Around” is a mantra for all of us to rediscover and celebrate love. Sure there are many songs out there about the subject. Lately many of them have been more about the pitfalls and darker side of love. Goss’s album is upbeat and hits point on the authentic core essence of love found and lived. 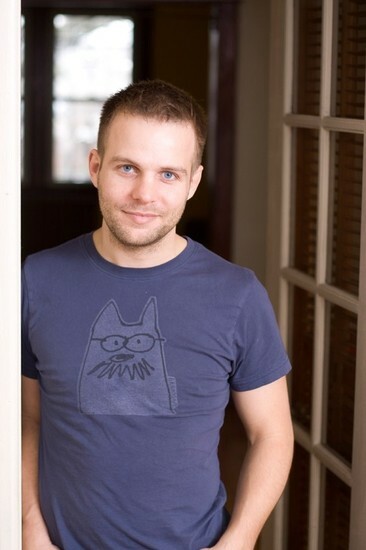 An excellent song writer, Goss brings out the universal sameness of love shared across gender and sexual preference , which makes his songs both mainstream and uniquely LGBT centered. His advocacy for LGBT rights is well known but his love for music is at his heart. What is appealing about Tom is that he has a very “next door guy” personawhich he brings to his music. That is why his songs about love come across pure and relatable. His track “Turn It Around” gets you on you tapping on your foot immediately and to a level of optimism and action. He urges to “not wait for love.” You believe him and you get going. “Spaces Unseen” was a song he wrote when his husband ( that’s right, he was able to marry his love, Mike, in one of those states that allowed it) was gone on a trip. Anyone who has had their lover or spouse away can relate to this song. It is heartfelt and beautiful. “Make Believe” is a gutsy song about going after the one you love and just taking that chance. It is also a fun song that puffs your chest out and makes you want to dance on the street. “Two Steps From You” is a song of devotion to a lover. It is a sweet, intimate song. I teared up on this one. Damn, Goss is good. “All I Ever Wanted” really brings home the point of what we really want in life. I like the music and also how it brings images to the forefront and then back to the heart of what is really important. “You Came Along” This song is about taking the next step together in love beyond fear no matter what others think. ” Seems Like Yesterday” Tom said this song was inspired by a period of life when he dated a girl but he never pursued it because deep down he he knew he was gay. ” You Know That I Love You” All I can say bout this song – Beautiful. Pure poetry and heart. “Shady Dell” This song is about childhood and the impact of change. It speaks to keeping your dreams alive not matter what. “It’s All Over” This is a vigorous song about a night together wondering about love. Is It Too Early? A song about meeting someone and wondering if it is too early to know if this person is the one. Goss fills his songs with guitar and piano as well with other instrumentals which adds a richness that leaves your listening fully satisfied. While most popular music tends to gravitate to trendy music that keeps us sweating on the dance floor or at the gym, which is well and good, and has its place, Goss offers something we are often missing in today’s music. We are missing the great songwriter poets who write the songs that touches our souls and transforms our lives that inspires us and takes us along our journey. The singer songwriters of history have done this and we still need this today…perhaps more than ever. I invite you to check out Tom Goss’s music on his website and also on iTunes. I hope you will love Tom’s music the way I do. Check out his videos also. music is an inspiration, keep rocking. Thanks much for the heads up on this. Sooooo appreciated. Sounds divine. So glad you like, Dan!